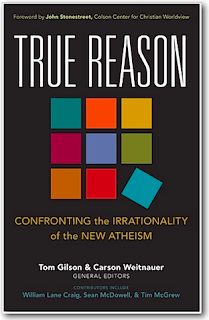 Not long ago I decided to purchase the updated book True Reason: Confronting the Irrationality of the New Atheism (Kregel, 2013). 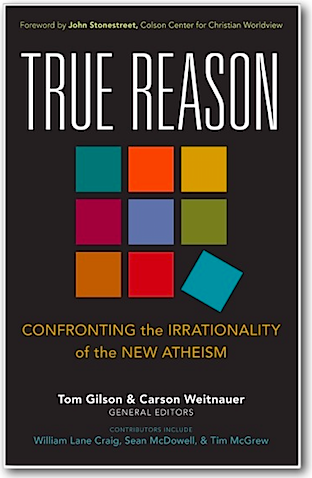 Readers might remember that just a few months ago I had written an in-depth response to an earlier version of this book, titled, True Reason: Christian Responses to the Challenge of Atheism (Patheos Press, 2012). I shot so many holes through that book it looks like swiss cheese now. After finishing my response to the 2012 edition I found out that an updated printing became available about a year after the first publication date. I viewed what I could of the updated version online and concluded that my review of the 2012 edition would be sufficient to respond to both editions. But doubts plagued me. I wondered how much of an update they did to the book. With all of the issues I found there was much room for improvement. Eventually, my curiosity got the better of me and I bought the new version. I just finished the book today and I was not impressed in the least. Most of the essays appeared to have been rewritten to improve the grammar but most of the arguments were the same. Other than this, I noted a number of differences between the two editions: The inclusion of two new chapters: One by Lenny Esposito titled “Atheism and the Argument from Reason,” and one by David Marshall and Timothy McGrew titled “Faith and Reason in Historical Perspective”; the formatting was nicer and better organized; the writing was improved; and in a few essays there were minor changes, but nothing that I found that would cause me to have to revise my response to the 2012 edition. I stand by my statement at the end of my response to the previous 2012 edition: my review will suffice as a handy refutation of both editions (minus the two new chapters in the updated edition). But as it happens, I've already responded to one of the newer essays a few years ago. The essay by Marshall and McGrew is one that I was very curious about. I read what little I could of the essay online and from the limited view allowed to me it appeared to be an improved and revised version of an essay David Marshall has written in the past, and one which I have responded to in great detail. It purports to make the case that reason has always had a central place in Christian thought throughout history and Marshall cites numerous Christian theologians, philosophers, and scientists to support his thesis. The only problem? Each of his quotes have been taken out of context – in some cases, egregiously. When I saw that Marshall had enlisted the help of someone with actual academic credentials I was curious if he had improved upon his essay. The Chapter in True Reason is a hacked up version of Marshall's previous essay he titled “Faith and Reason.” Marshall provided dozens of quotes in his essay, but in the book version he provides only a handful of Christians to support his argument. And most of the quotes provided I have already sourced and found them to be taken out of context. While Marshall does not mention me by name, he makes a vague reference to unnamed “atheists” - plural. But to my knowledge I am the only atheist who has quoted Richard Carrier from Not the Impossible Faith (2009) in response to Marshall's argument regarding Justin Martyr, and Marshall and I have debated this point before, so it would be one hell of a coincidence if he wasn't responding to me. For we have come, not to flatter you by this writing, nor please you by our address, but to beg that you pass judgment, after an accurate and searching investigation, not flattered by prejudice or by a desire of pleasing superstitious men, nor induced by irrational impulse or evil rumors which have long been prevalent, to give a decision which will prove to be against yourselves. For as for us, we reckon that no evil can be done us, unless we be convicted as evil-doers or be proved to be wicked men; and you, you can kill, but not hurt us. For anyone with even an ounce of critical thinking ability they ought to be able to spot Marshall's egregious blunder. 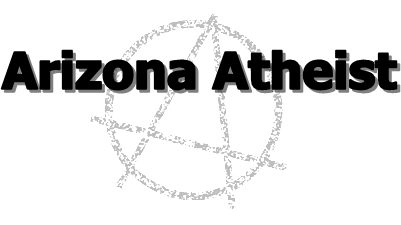 Atheists, when they talk of Christians not being guided by reason or evidence, are referring to Christians and their religious beliefs. Not every day matters, like a court case, which is what Martyr is referring to! So of course, he wouldn't reference the bible when discussing this subject! Exactly. Did Justin give any evidence for his religious beliefs? No. Did he give reasons for other beliefs aside from his religious ones? Yes. That’s the point. 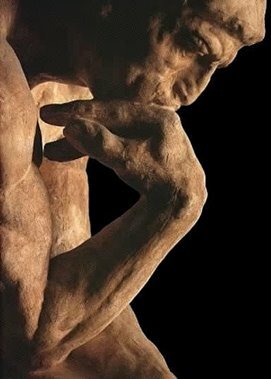 It’s not that Christians never rely on evidence in their lives, but that when it comes to their faith they fail to rationally investigate their reasons for belief. Marshall has just proven Harris’ point without even meaning to. Marshall did absolutely nothing to respond to this logical, factual objection, even though it's been out there for a number of years. I would implore Marshall to keep up, but I doubt that would help. He's behind the game as usual. The other Chapter by Lenny Esposito about the Argument from Reason is one of the very few Christian arguments I've neglected to address in my writings. I never thought it was a good argument and many years ago I read Richard Carrier's response to it and believed there wasn't any point to looking any further into it. I am pleased that there will be no need for me to revise my rebuttal to True Reason and I very much hope my response to the book is being referenced often, as this appears to be a fairly popular book, as it has a vast majority of highly positive reviews on Amazon.com. These Christian authors are trying to pull the wool over their readers' eyes and I hope many curious readers will find my response helpful.